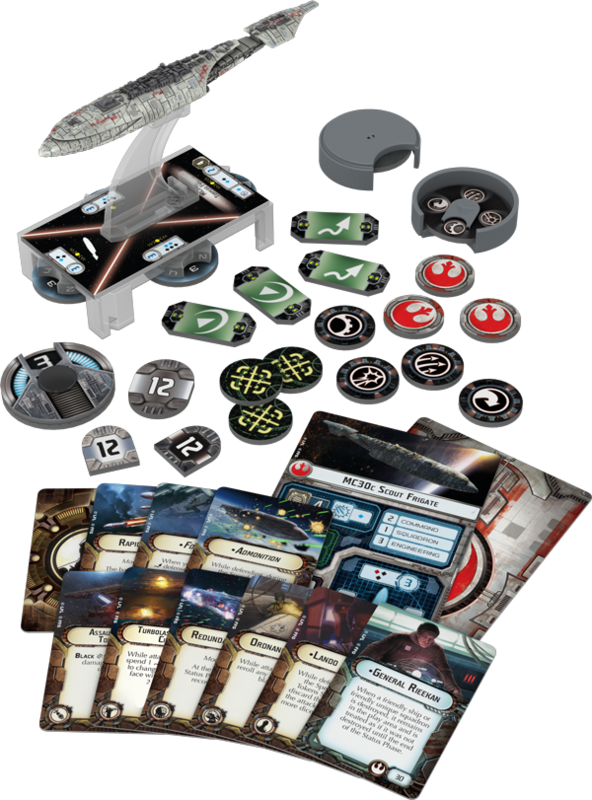 Fantasy Flight Games has another Star Wars Armada preview for us today. We've seen the Imperial Star Destroyer. We've seen the MC80 Frigate. We've seen the Imperial Raider. Time once again for a mid-range Rebel ship with the MC30. Not quite the powerhouse of firepower of its bigger cousin, the MC30 still fits some pretty interesting roles in your forces. While the various ships always have two different versions you can play, the MC30's two different roles are at once very similar, but also very different via one small change. One version teams some blue dice with red. The other has the same amount of blue dice, but swaps out for black. As such, depending on if you want a long-range fencer or if you want a close-in "missile boat" sort of ship, the options are there for you. 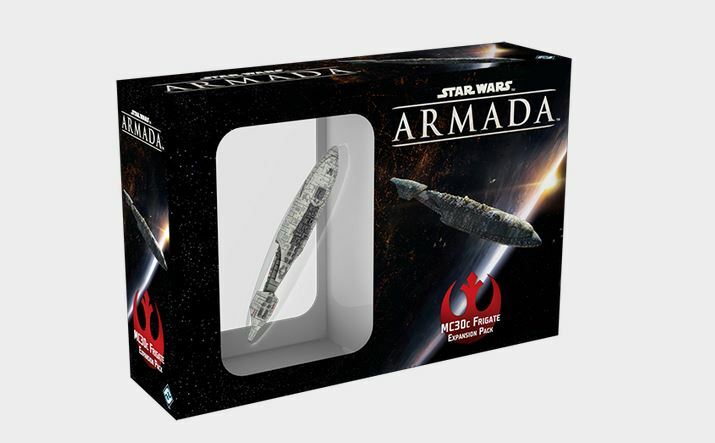 The Massing Near Sullust event takes place next week where players can get a chance to play with this new wave of ships and possibly end up going home with one. Check out your LGS to see if they'll be running one of these events.